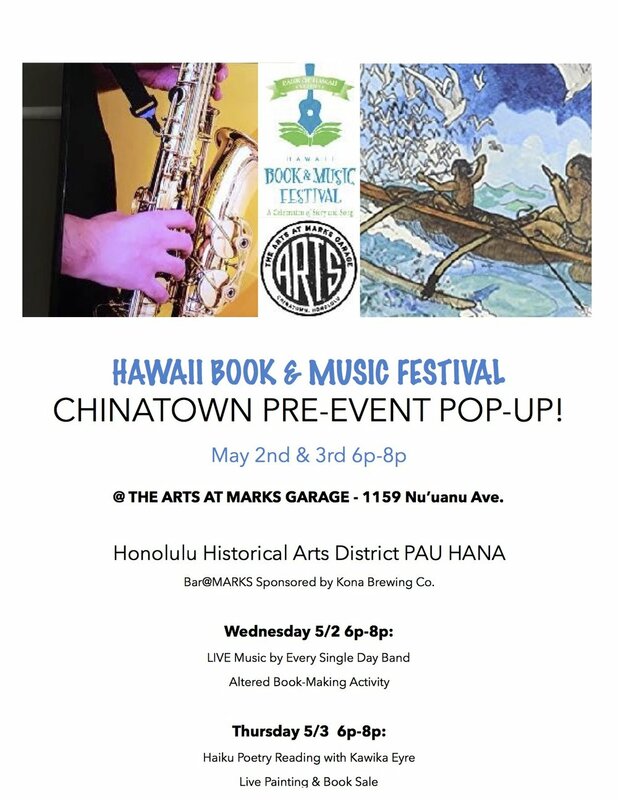 HAWAII BOOK & MUSIC FESTIVAL CHINATOWN PRE-EVENT POP-UP! Friends of the Library of Hawai‘i will once again be participating in the Hawai‘i Book & Music Festival in its 6th year! FLH and the Hawai‘i State Public Library System will each have their own booth located on the Ewa side of the Mission Memorial Auditorium, near the Makai Authorʻs Pavilion. Please come find us and support the Public Libraries. We will have books for sale!